Thank you for choosing Coles Music. We strive to make renting a musical instrument as easy as possible. How much does it cost to rent an instrument? We start everyone off with a 4 month or School Year trial period. You will pay the one price for the trial period and have the instrument for the amount of months you chose. You can only select one trial period for school year. 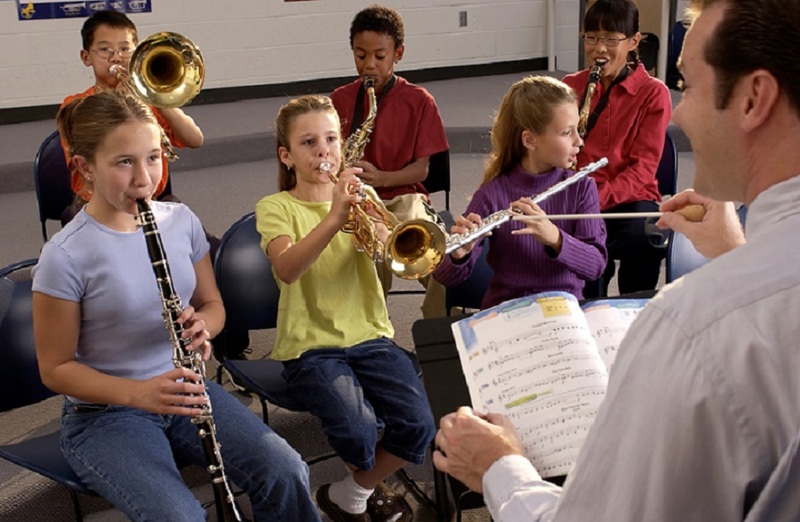 The trial period allows your child to try out an instrument without you having to make the financial commitment to buy. How does my child get their instrument? Once you complete the rental form, their instrument will be delivered directly to the band director within a week. The instrument will then remain with your child for them to use in school and take home to practice! Why do I want the Worry Free Maintenance Protection? Maintenance Protection is added security to your rental instrument when the instrument needs periodic maintenance due to playing or is accidentally damaged. Most parents choose this option since most instruments require some repair or maintenance at some point during the rental. See the terms and conditions on the next page a complete explanation of the maintenance protection. What happens after the trial period ends? After the trial period ends, you will begin the rent-to-own program. You will pay each month to rent the instrument. These payments are being applied towards the purchase of the instrument. The rental period varies by instrument, but if you pay the number of months for your instrument, you own it! You are not locked in or obligated to rent to the full term. The rental may be terminated at any time by emailing us at returns@colesmusicservice.com and following the instructions. Can my child switch instruments? Some kids find their instrument right away, others might need to try a few before they find the one! We allow you switch instruments during your trial period until your child finds the one for them! How does the string program work? String instruments come in different sizes to accommodate the size of your child. As your child grows, their instrument will also need to grow. When they are ready for the next size instrument, call our store and we will pick up the smaller instrument and deliver the next size. All of the rental money paid is being applied to the purchase of the full size string instrument.